Deep below the ocean-surface on the seafloor, in cold and dark water, unique and highly diverse communities exist. These communities largely rely on food that is produced at the sea-surface and sinks through the water-column. 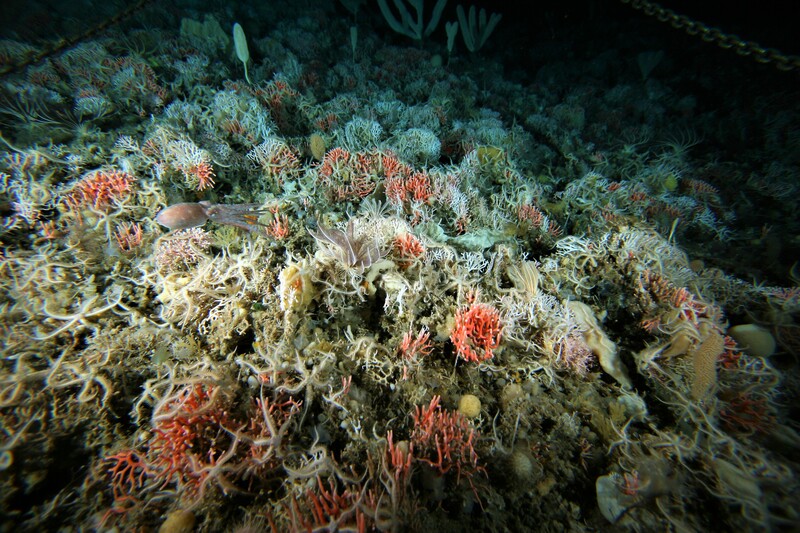 In our study, we used an approach based on particle-tracking to predict how and where exactly food ends up on the seafloor, and show that different aspects of food-availability affect the diversity and abundance of life on the Antarctic seafloor. Our paper in Nature Ecology & Evolution can be read under this link. “Hmm, this isn’t working. Why?” – This thought must have popped-up in my head about a hundred times or more while developing the Food-Availability-Models. Luckily, it all made sense in the end, and we now understand a lot more about how surface production influences seafloor communities in Antarctica. The original question we posed was quite simple: If we track how currents move phytoplankton particles during their sinking from the ocean-surface, does this explain the distribution of food we can observe on the seafloor? Well, no, it doesn’t, it’s not that simple, because particles still move around quite a bit once they reach the seafloor. Seafloor current speeds and directions are crucial in determining where these particles are swept to and are eventually deposited. In the end, I was glad that the relationship wasn’t as simple as we first thought. 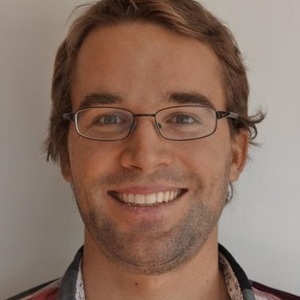 The issues we encountered made us rethink our models, and we developed maps for three different, and very unique aspects of seafloor-food-availability. We addressed where a first pulse of food arrives near the seafloor, where food flows along the seafloor, and where it is finally deposited. Each one of these aspects influences the seafloor community in a different way, and our camera-images showed that one of the most important roles was associated with the amount of suspended food in seafloor currents, a process we originally had not planned to model at all. The original idea behind the paper developed through our desire to map the distribution of Antarctic seafloor fauna. Good maps of species distributions don’t simply provide knowledge of Antarctica’s unique ecosystem, but are vital to make informed decisions about conservation. However, when my PhD-supervisor Nicole Hill spoke with colleagues at an Antarctic conference a few years back, the consensus was that mapping seafloor fauna would be too challenging. The main issue was missing maps for many of the environmental factors that are important in determining where seafloor fauna can live. Food-availability, which influences the distribution of all animals, was one of those missing factors. 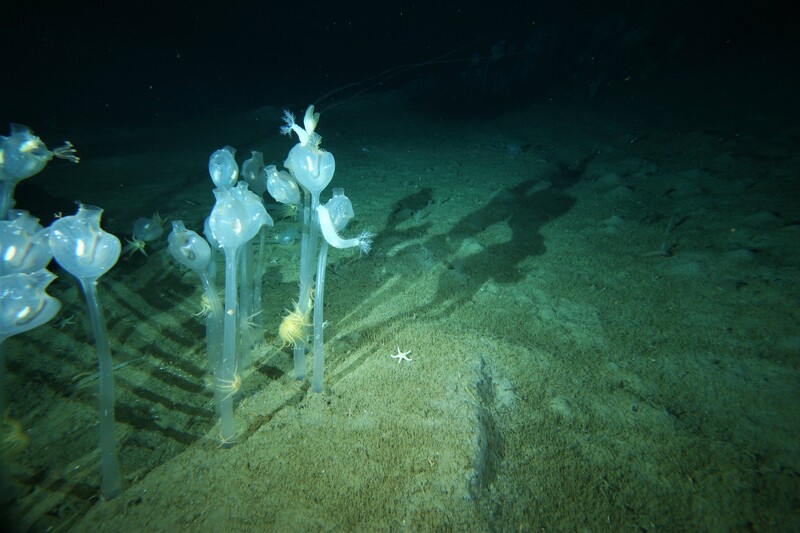 For most animals that live in the dark, deep ocean, this food originates almost exclusively from the productive surface waters. However, although we have long suspected how important this link is, nobody had quantified how ocean-currents determine the distribution of food on the seafloor. The reason we managed to put all of the puzzle pieces together – quantifying for the first time the availability and redistribution of food at the seafloor, and showing its link to seafloor biodiversity – is good collaboration. This study required a highly multidisciplinary team, and included a spatial modeler who helped develop the particle-tracking code, an oceanographer who built the fine-scale ocean model, a taxonomist who identified the species on the camera-images, phytoplankton specialists to identify and count diatoms in the sediment cores, and a geoscientist who arguably knows more about the ecology of the region than most of the ecologists. In short, our study proves once again how important it is for ecologists to collaborate with experts from other disciplines. Predicting food-availability at the seafloor fills a crucial knowledge gap in our understanding of Antarctic ecosystems and by comparing the maps we’ve produced for our study region to data from underwater image, we have proved that the concept works. However, there’s much more that can be done; we can use food-availability-models to predict future changes at the seafloor, and test how climate change and other changes in surface-production influence the abundance and richness of seafloor animals. We can use the additional maps to categorize communities, and identify areas of particular interest for conservation. 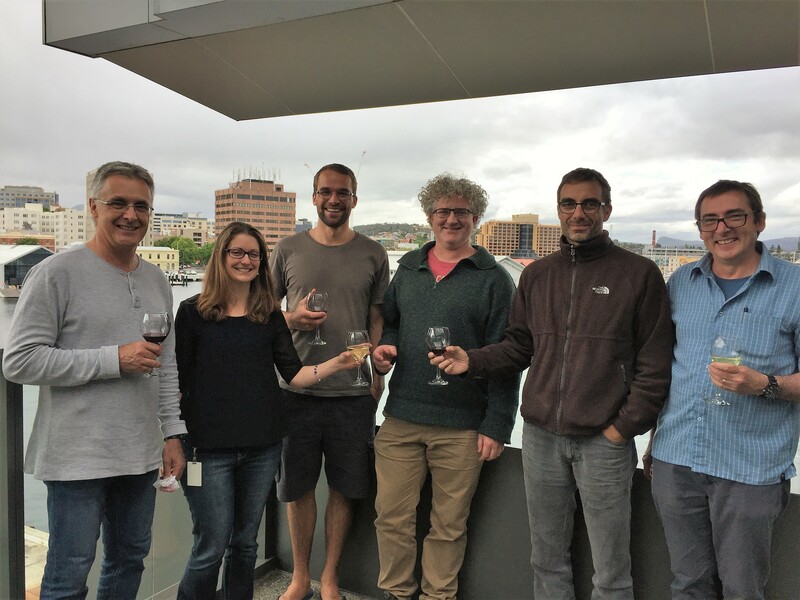 And of course, we can and will collaborate with other Antarctic scientists to take the next big step, which is to map seafloor-food-availability and the distribution of seafloor biodiversity right around the Antarctic continent.